Oy, that’s what happens over me but it’s not as funny as this. I feel special, but with those type are the creepoids and weirdos. I feel like a magnet. Dang is this reference from the older Doctor Who series? Congrats… you got a real life LOL for this one! …wow, I /just/ got that Doctor Who reference. Nice. Brilliant, just brilliant! 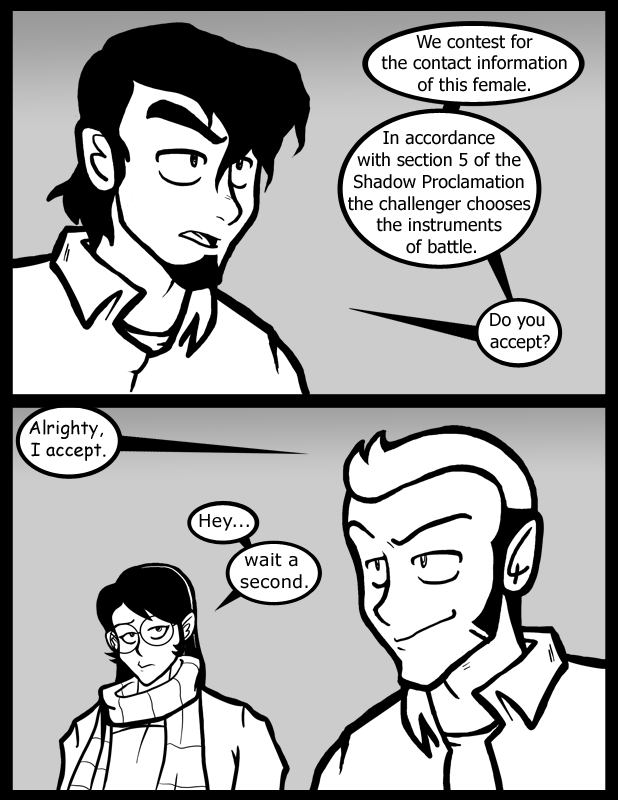 Somebody who knows how to use the shadow proclamation to get things done! Since it’s there might as well use it. I think it depends on the kind of nerd you are. When these came out originally everyone thought they were Harry Potter scarves. Scarves are just scarves sometimes. Associating with the Doctor or with Harry Potter just implies one doesn’t see them a lot. Shadow Proclamation was used by the ninth Doctor in his very first episode (“Rose”) against the Nestene Consciousness. It was also used by Rose herself (to humorous effect) against the Sycorax, the tenth Doctor against Miss Foster in the Adipose episode, the Isolus inside Chloe Webber, and it was used a bunch of times in various comics and stories. However, it never existed in the old series; it was created alongside the ninth Doctor. I am impressed by the collective nerdness that is the Between Failures Post Family. Wait, I’m in said family…SWEET! lol NEVER try to use a doctor who pick-up line to attract a potterhead, but since I’m both, a few sherlock quotes, an HP reference or to and you’ve scored yourself a date. Although, I don’t see how this is objectifying.